For patients who rely on prescriptive lenses for clear vision, contact lenses offer a discreet visual aid that does not interfere with one’s appearance or style. For these reasons, contact lenses are preferred by a great number of our patients. 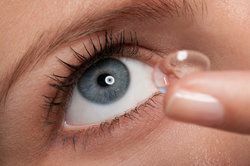 While contact lenses are considered comfortable and convenient, it is important for patients to understand that they do require special care. Patient education is a great focus at our eye care center and we ensure that all contact lens patients are well informed on how to care for their contact lenses. Because the lenses have direct contact with the eyes, proper cleaning and use techniques are necessary to protect the health and safety of the eyes. For our Monterey patients, contact lens care is also vital to maintaining the life of the contact lenses to avoid the need for frequent replacement. At Monterey County Eye Associates, our doctors educate patients to ensure that they receive the safest and most effective results from their eye care treatment. If you have questions about caring for contact lenses or are interested in learning more about our other vision treatment services, schedule an appointment with one of our experienced eye doctors at your earliest convenience. We look forward to hearing from you!